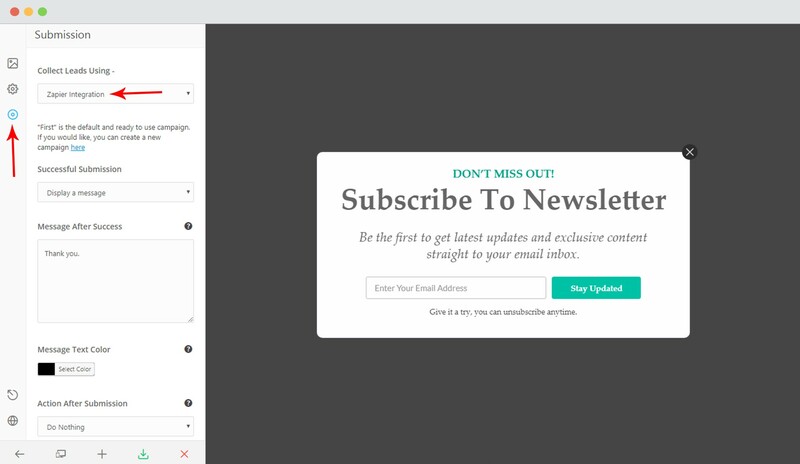 Convert Plus is a WordPress popup plugin that can be used to create effective popups, opt-in and subscription forms. You can use these modules to capture leads and increase newsletter subscribers. 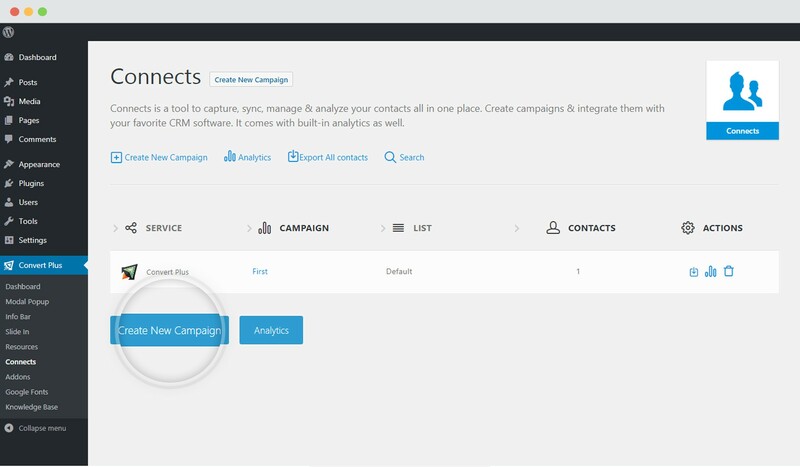 With a few easy steps, you can easily integrate Convert Plus with Zapier. 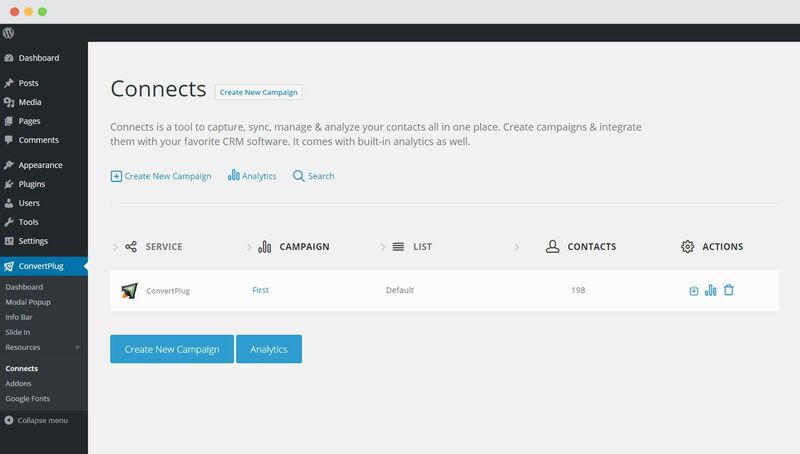 Capture leads with Convert Plus and manage them with Zapier. 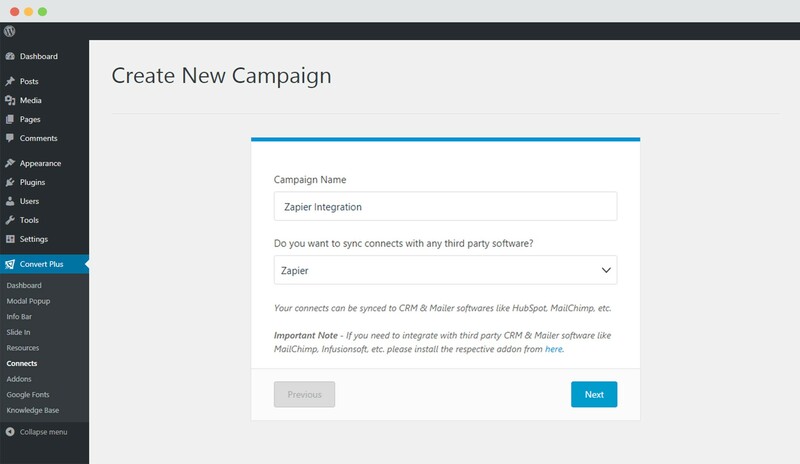 In order to integrate Convert Plus with Zapier, you can follow the steps mentioned below. In your Zapier dashboard, click on the Make a Zap button seen in the top right area of the screen. 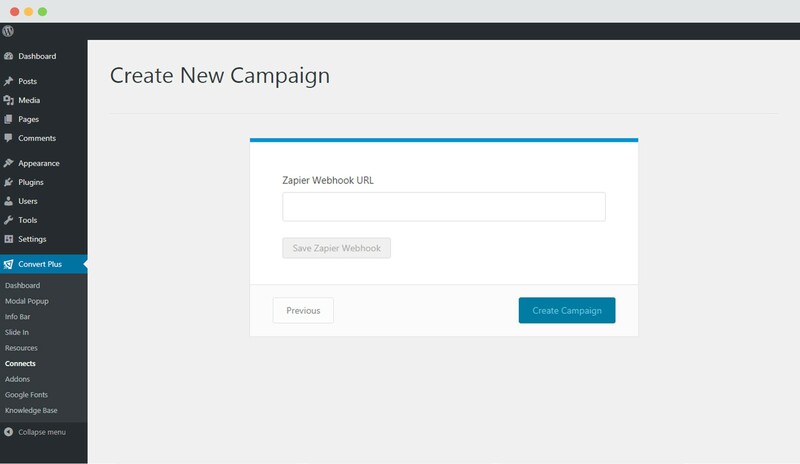 This Webhook URL will be needed in one of the steps below to authenticate and integrate Zapier with Convert Plus. You can move forward and set action as per your website need. Move to your website and follow the steps mentioned below. A Campaign name should be valid, descriptive and understandable so that you know what kind of leads are stored in it. Select Zapier from the drop down below. For the integration with Zapier, you need the Webhook URL. Enter the valid Webhook URL (we created following the steps in Zapier) to proceed with the integration.